Q-Connect Casebound Index Notebook 96 Pages A5 KF01064 - Norwich Office Supplies - Office Stationery and Furniture for Norfolk with Delivery to all of the UK. Get all your Computer Supplies, Print Consumables, Presentation Equipment, Paper, Desking & Seating Right Here! • 190 pages feint ruled. • Ruled white wove paper. 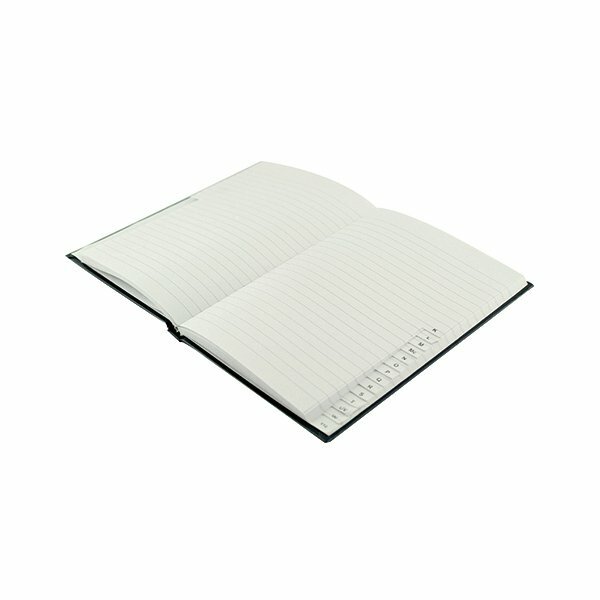 This professional, durable Q-Connect casebound notebook features an A-Z index for organisation and contains 192 sewn pages of 70gsm paper, which is feint ruled for neat note-taking. Ideal for noting addresses, contact information, notes and more, the notebook also features tough hardback covers. This pack contains one A5 notebook.